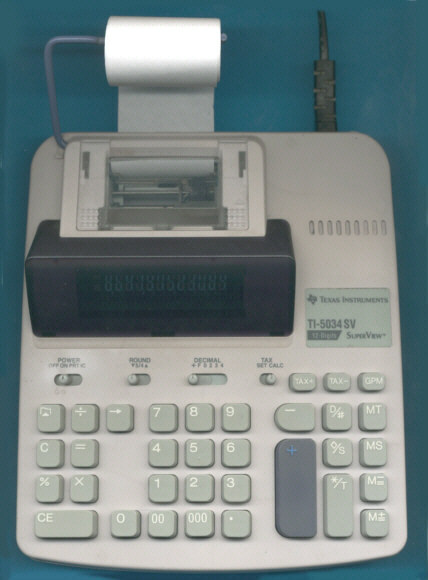 The TI-5034 SV (SuperViewTM) followed the TI-5034 introduced in 1989. Both are typical desktop calculators used in small and home offices. The TI-5045 SV added a two color printer and GT-key, the TI-5033 SV limits the display to 10 digits and operates from batteries.